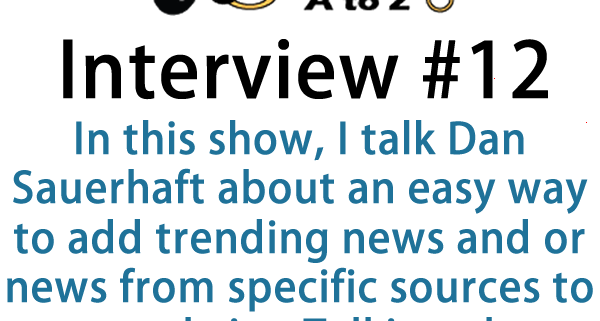 This Interview covers some great screencast usage of the plugin and what it does for you. 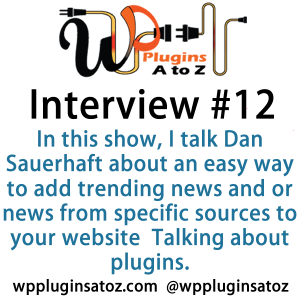 I reviewed this plugin on Episode 302 WP Plugins A to Z The plugin uses a short code to display the information or using a widget. RePubHub bring into your website syndicated articles that are wrapped in a embed and you can wrap your ads around the articles. This system is free since they display advertisements in the embed information. This is a pretty easy way to add trending news and or new from specific sources to your website via a sidebar widget. You can adjust the settings to drill down to specific categories and regions and limit the number of articles to appear. It is a pretty good way to get additional content to your site that is relevant. Yesterday we released a new WordPress plugin that reinvents how content syndication is done, and we'd love your feedback/review. RepubHub Headlines Widget is at https://wordpress.org/plugins/repubhub-headlines-widget/ , and a two-minute video about it is at https://youtu.be/uoNcvB1S-m4 . The plugin adds a widget that displays the most recent trending headlines from the many world-class publications participating in our syndication network. You specify which category of headlines (health, politics, sports, etc) to display and you can easily exclude/include specific publications. When the widget is activated, the plugin simultaneously creates a hosting page on your site which displays the full articles on your own site, keeping your traffic onsite. The single hosting page displays an infinite number of different articles, depending on which widget headline the reader clicked to get there. The website editor can leave the widget to automatically update the article selection without any curation, or the editor can easily curate throughout the day using a few curation tools that are visible on the front end just to editors and admins. The service is free, because ads are inserted into the iframe containing the articles which compensate the content provider and us. The republishing website monetizes the new page views with their usual ads above, below and to the sides of the article iframe. 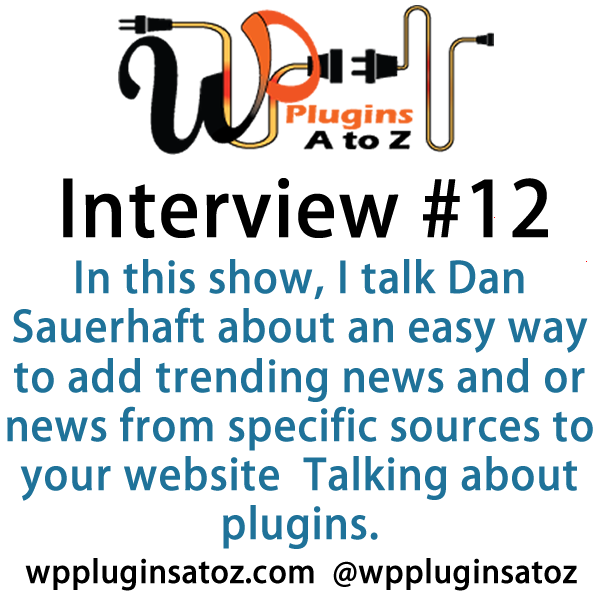 Would love any feedback to dan@icopyright.com and any publicity you could give the plugin. Thanks!